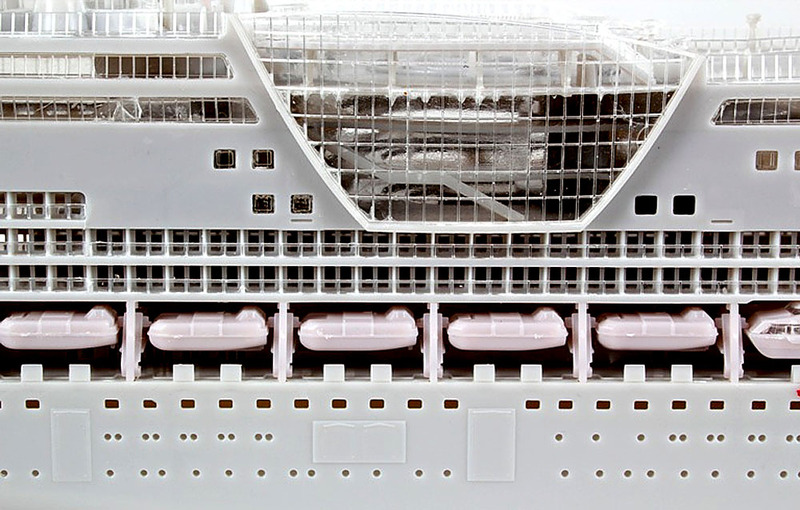 Revell plan the release of this 1:400 scale kit in November, and it looks an interesting and colourful choice for marine enthusiasts. The scale means you’ll end up with a decent size model - as planned the liner will be 629 mm (24.8 in) long, and the height from keel to mast top will measure 120 mm (4.7 in). It will be a fairly lengthy build, with some 300 components in the box - just the thing for those long winter nights ahead. 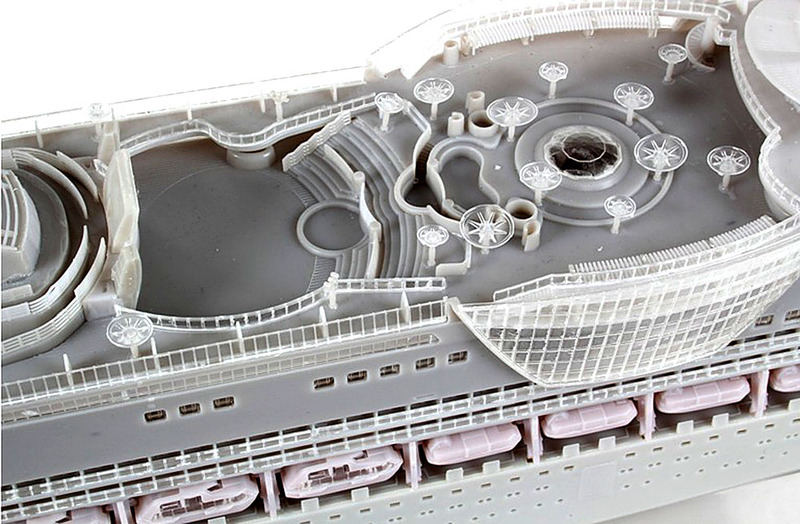 Finishing the ship for display will make a real change from the standard grey of most warships. 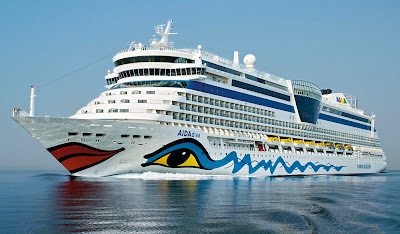 The Aida Diva is one of three sister ships (the others are the Bella and the Luna) that form part of the leisure fleet of an Anglo-American cruise line based in Germany, and what sets the Aida trio apart from similar cruise liners are their unusual liveries. Trademark emblem of the fleet is the bright red pair of lips at the sharp end, while a giant eye and blue stripes decorate either side of the hull. 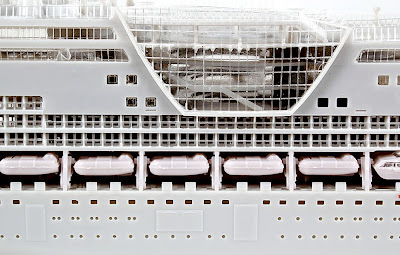 Set against white paint, the result is refreshingly different, both for the real thing, and doubtless for the models as well. Couple those markings with standard blue stripes on the upper superstructure, and tinted glass in the midships atrium and you have a handsome-looking ship. 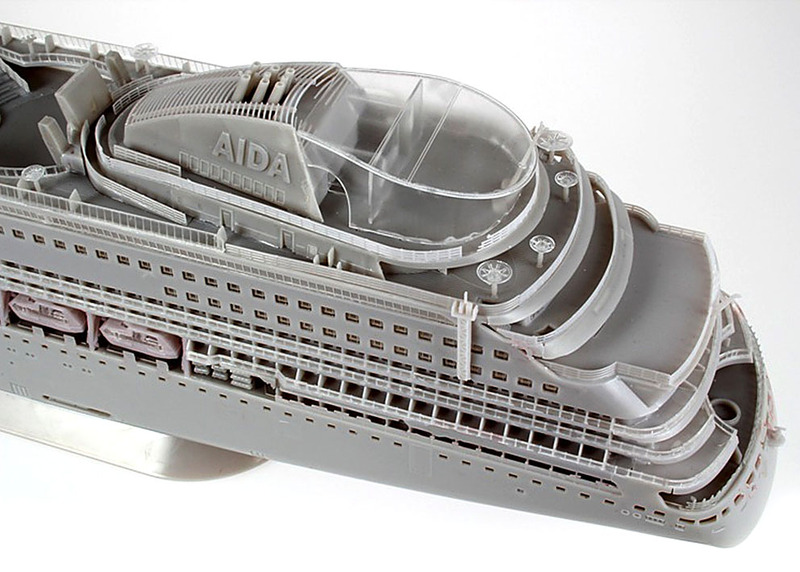 As for which of the three Aida vessels to model, it’ll be your choice - Revell will be supplying name decals for all three. 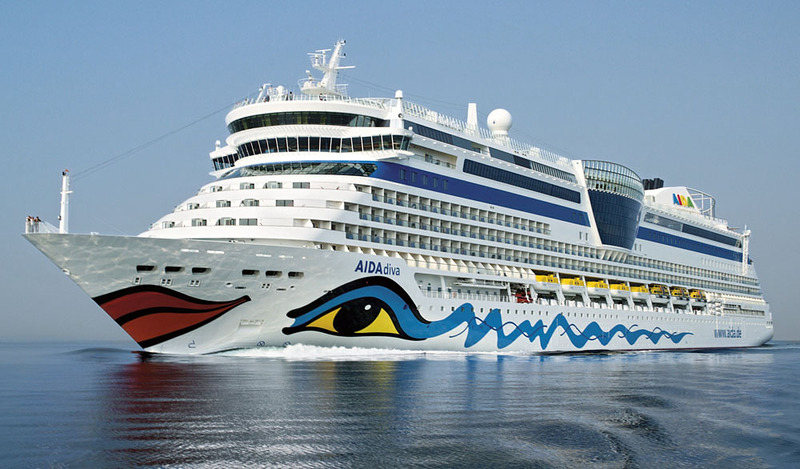 Visit Aida line (German language) here.